Tokyo, Sept. 20 (BNA): Japanese Prime Minister, Shinzo Abe, was re-elected to a new three-year term as head of his ruling Liberal Democratic Party, paving the way for up to three more years as the country’s leader. 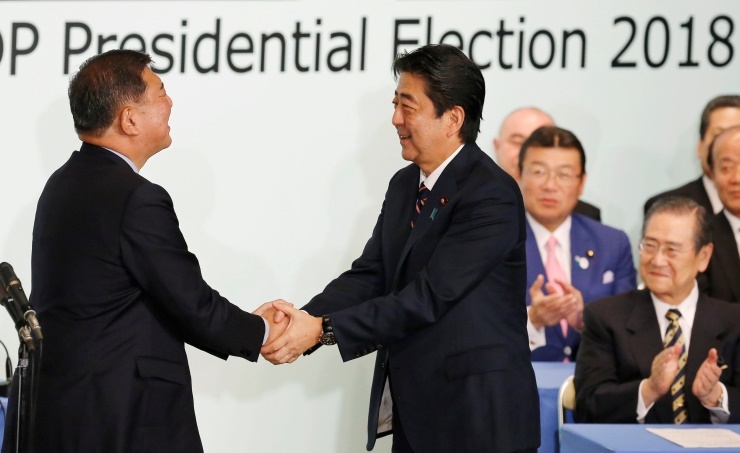 Mr. Abe handily defeated his sole challenger, Shigeru Ishiba, a former defence minister. by 553, or about 70 percent, of 807 votes. The 63-year-old Abe has been Japan’s prime minister since December 2012.